Click album cover pictures for larger image. Click on quote links for full reviews. 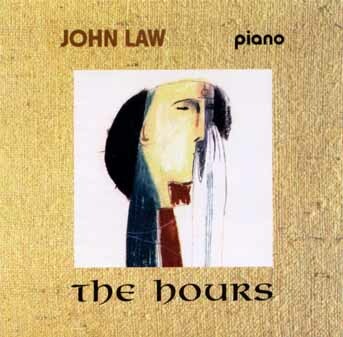 A massive achievement in the world of improvised piano music, the Chants series catalogues John Law's fascination with early music and plainchant in the 1990s. Wide-ranging in pianism and textures the continuous inspiration is kept up throughout four CDs, which explore everything from straight plainchant, through classical and jazz, through to the contemporary sounds of the 20th century. Two of the four recordings are taken from concert performances with all the excitement only achieved by a live event. The four CDs also feature specially commissioned illustrations by the artist Mel Day. See individual CD entries for more information and reviews. A strictly limited edition, each copy signed by the pianist. 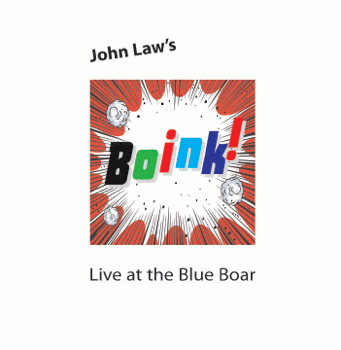 John Law’s first foray into electronic music, combining live playing with pre-composed backing tracks. The recording features seven Law originals plus a version of Coltrane’s Naima. A live performance and in fact the premiere of much of this material, bringing a special on-the-edge excitement to everything! 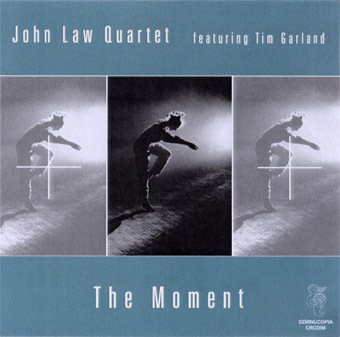 The Moment John Law Quartet, featuring Tim Garland (Saxophones), with Tim Wells (Bass) and Dave Wickins (Drums) Cornucopia CRCD06 2001 Nine compositions from Law, representing a transition from many years' immersion in freely improvised music to a form much closer to conventional jazz, played here by the John Law Quartet. The current line-up features Tim Garland, whose warm tone and quicksilver improvisational musicality infuse the three tracks he features on. Very much a jazz album, but also one which feels very much at home in the European classical traditions in its sensitivity to nuance. Above all, some of Law's most beautiful compositions. The Moment also introduces into John's music another new sound: the drive and sensitivity of Dave Wickins on drums. 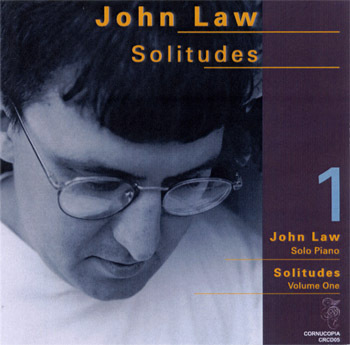 Solitudes John Law Cornucopia CRCD05 2001 This CD, planned as as the first in a series of solo piano recordings, came out round the same time as the quartet CD The Moment, featuring Tim Garland, and presents many of the same compositions, but in solo piano format. Documenting the time John Law was just starting to come out of playing freely improvised music and beginning to write and play in a more accessible jazz idiom, the series was to remain a series of one. 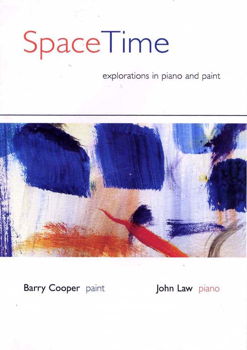 Not till much later, in 2008, was there to be a start of a new solo piano series of recordings. Also includes two tunes by Duke Ellington. 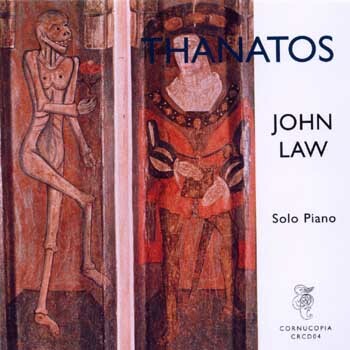 Thanatos John Law Cornucopia CRCD04 2000 A stunning live solo recording to complete John Law's exploration of plainchant. Covers the entire spectrum from stride and swing piano to openly improvised classical textures. 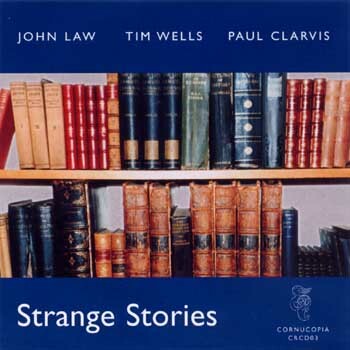 Strange Stories John Law Trio: John Law, Tim Wells, Paul Clarvis Cornucopia CRCD03 2000 Nine remarkable Law compositions, given a highly-charged and interactive trio reading by John Law's group from 1997. Lots of time, swing and grooves, but with a European compositional feel. 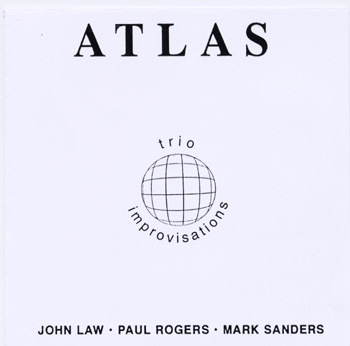 Improvisations ATLAS: John Law, Paul Rogers, Mark Sanders Cornucopia CRCD01 1989 John Law's first recording, transferred later from the original reels. The only recording by this short-lived group, “the mighty Atlas...an original, developing, living and breathing music” (The Wire). Features, in Rogers and Sanders, a rhythm section of awesome power. 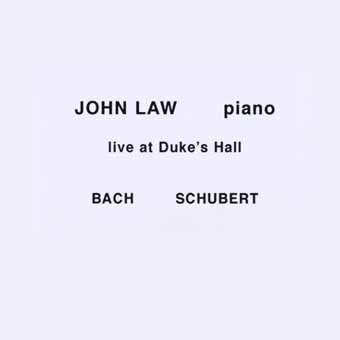 Duke's Hall John Law Cornucopia CRCD02, 1980/81 A rare chance to hear two live performances from Law's student days as a classical pianist. The Busoni transcription of the chaconne and the massive Schubert D major sonata (the slow movement of which includes the sound of a fire engine... in the right key!). Double CD with eleven all new original compositions by John Law, in trio and quartet formations, some featuring subtle electronics. Recorded at the wonderful studio of Curtis Schwartz, this double CD has been prepared to an extremely high standard, with beautiful accompanying artwork and booklet. 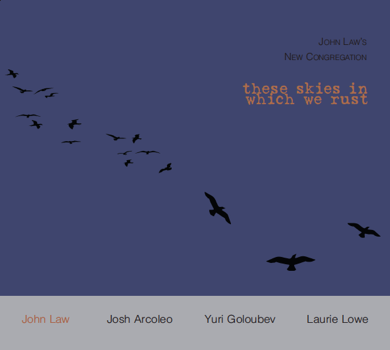 A project of John's that took 4 years planning and preparation, the result is an extremely wide-ranging exposition of all the different influences in John Law's writing and playing. Features stunning instrumental playing and beautiful compositions, both complex and immediate/melodic. "...another high-water mark in Law's career." "dizzyingly beautiful tunes, magical effects and perfect playing... (John Law) is our 21st century Bach!" "Melodic contemporary jazz with a strong rhythmic pulse and some strikingly memorable and original tunes." John's take on this baroque masterpiece. 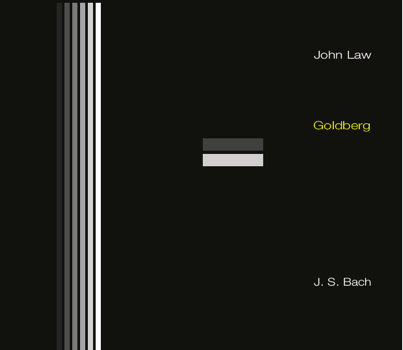 Bach's Goldberg Variations in an authoritative, straight reading on the modern grand piano, the music is bookended by two pieces of ambient electronic music, composed by John, based on the chords and bass line that underpin the whole work. The accompanying CD artwork, of beautiful simplicity, features stills from a digital animation of the music being prepared by the artist David Daniels, for release on DVD in the future. "...Law has respectfully changed the frame and removed the dust so the grandeur of Bach's work can be heard clearly." Visual samples from the digital film realisation of the Goldberg project, by David Daniels. This film sample includes the two ambient electronic tracks, Opening and Closing, which feature on the audio CD, with a selection of the Bach in between. There are stills from the visuals of the Aria on the CD artwork. 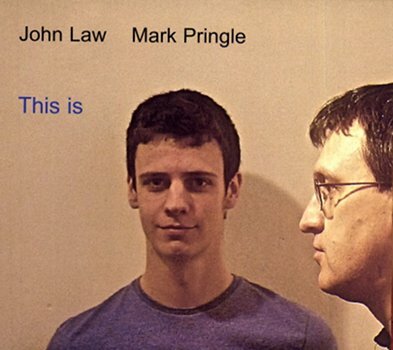 This is John Law, Mark Pringle 33 Records 33JAZZ219 2011 John Law combines with a rising star of the UK jazz scene, and ex-pupil of his, pianist/composer Mark Pringle. Mark, commencing jazz piano studies, having won a scholarship, at Birmingham Conservatoire from September 2011, here shows his talents for both virtuoso pianism as well as delicate, advanced harmonic composition and in doing so has produced a recording of immense maturity. The CD features, alongside original compositions by John and Mark, a stunning version of the tricky composition Chorinho, by Lyle Mays, as well as a brilliant, lively 'straight' performance of a Bach fugue for two harpsichords! This is is set to become a major recording of piano jazz and heralds the start of a brilliant career for a new, young talent. ...so full of joy that it can renew your faith not just in jazz, but music itself. 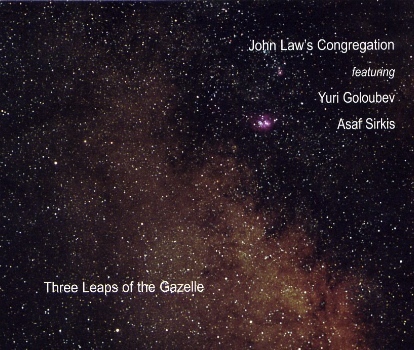 Volume 1 John Law, Sam Burgess, Asaf Sirkis 33 Records 33JAZZ155 2007 Recorded at the wonderful Italian studio Artesuono, in Udine (used by ECM, among others) the recording features highly interactive ensemble playing in nine original, previously unrecorded, trio compositions by John Law. An amazing, atmospheric sound with exceptional clarity, captured by engineer Stefano Amerio. The first in a series of trio CDs from this new ensemble. Steeped in both classical music and jazz, Law plays boldly independent lines in each hand, likes hooks that slowly evolve over subtle harmony changes, is captivating at low volumes and surefooted on swing. A formidable thematic improviser. A sublime trio, it's a band heading for great things! 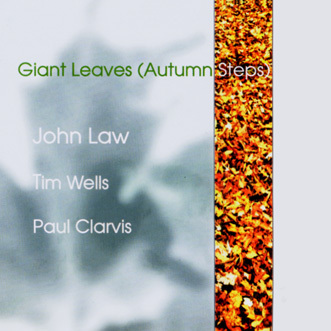 As melodic, accessible and catchy as anyone in the crowded piano trio sector. One of the jazz albums of the year! 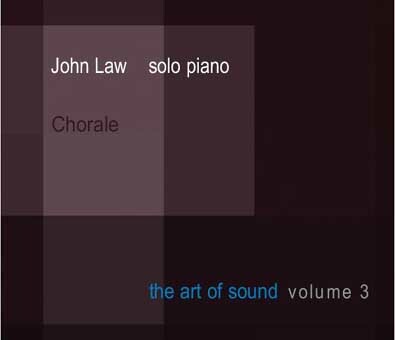 Volume 2 John Law, solo piano 33 Records 33JAZZ180 2008 Recorded at the wonderful Italian studio Artesuono, this CD, along with Chorale, continues the Art of Sound series started with the universally acclaimed first trio volume. With a crystal clear, spacious sound, recorded on a fabulous Fazioli grand piano, the two CDs represent the outcome of two years of writing and studying for John Law. The music covers the whole spectrum from beautiful ballads through swing and groove music to dynamic abstract music. This British piano virtuoso runs a sublime, somewhat Brad Mehldau-inspired trio - but he is a fearsome unaccompanied player, too. These two albums of contrapuntal improvisations may bring Keith Jarrett's Köln Concert to mind. 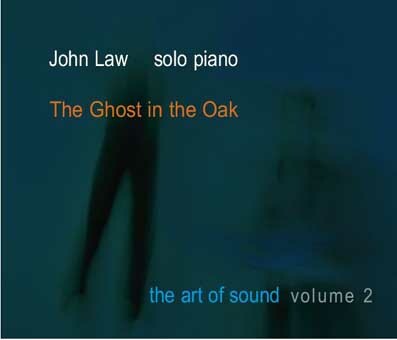 Volume 3 John Law, solo piano 33 Records 33JAZZ176 2008 Recorded at the wonderful Italian studio Artesuono, this CD, along with The Ghost in the Oak, continues the Art of Sound series started with the universally acclaimed first trio volume. 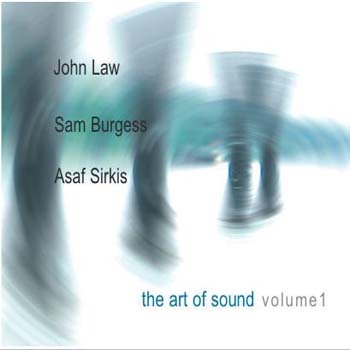 Volume 4 John Law, Sam Burgess, Asaf Sirkis 33 Records 33JAZZ193 2009 The final volume in the acclaimed Art of Sound four volume CD series. This is, like volume 1, another trio recording and, like the other three, is recorded at the wonderful Artesuono Studio in Italy, renowned for its beautiful, clear, atmospheric sound. This recording also documents a new departure for the trio, with some more extrovert compositions and some subtle use of effects. ... buzzing with surprises. An ideal set for anyone wanting an introduction to this formidably equipped artist. 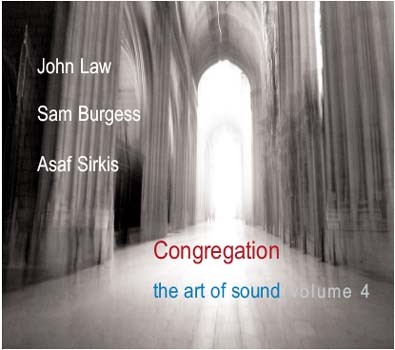 "It would be no exaggeration to say that John Law has entered a high-water mark in completing his tetralogy, of which Congregation: The Art of Sound Volume 4 could be considered the crown jewel. "An achievement, not only for Law, but British jazz in general, that he is able to hold his own against such contemporaries as Brad Mehldau." ... a startlingly good album by a remarkable group. 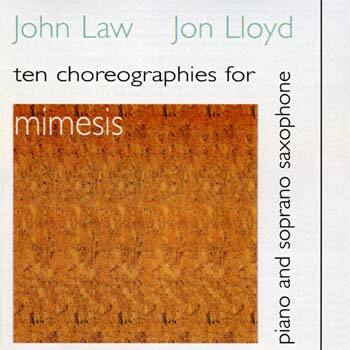 Mimesis John Law, Jon Lloyd ASC CD85 Ten ambient pieces, some through-composed, for saxophone and piano. Delicate soundscapes with a contemporary classical, ECM feel, inspired partly by the work of minimalist composers such as Morton Feldman. 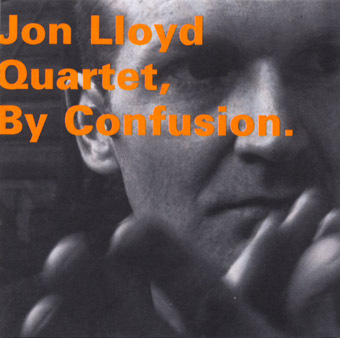 A new departure for Law and Lloyd, radically different from their early free jazz work. This new duo project concentrates on atmosphere and poise. 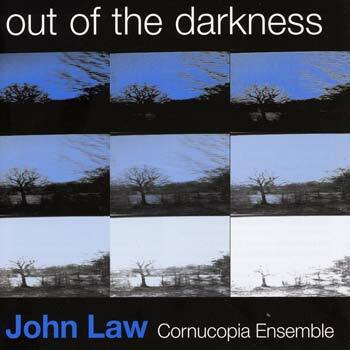 John Law's large ensemble project of 2004: his large-scale work, Out Of The Darkness. A single piece in seven continuous movements, taking in influences from 20th century (the chromaticism and counterpoint of Shostakovich, the drive of Minimalist/Systems music, the collage of jazz and repeated fragments reminiscent of Turnage, the overlaying of Baroque elements rather like Tan Dun), contemporary jazz/swing and free jazz and containing a beautiful central slow movement, the piece also brings out of the four featured musicians, Andy Sheppard, John Law, Chris Laurence and Paul Clarvis, some of their most inspired playing. The shorter pieces, Talitha Cumi and Nocturne, from the second half of the concert, present two completely different sound worlds: the former evoking the feeling of Eastern folk music, with a tinge of Garbarek-like ECM about it, and the latter a piece of quietness (mostly) and rich harmonies with a simplicity derived from the repetition of minimalism. The encore, The Loop, is an unexpectedly funky piece, providing the whole project with a punchy ending. The ensemble is first-rate: a collection of top classical musicians, some drawn from the ranks of the London Sinfonietta. Music for the head, the toes and everything in-between! 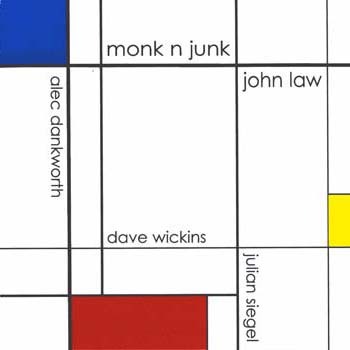 Monk 'n' Junk John Law Trio/Quartet: Julian Siegel, Dave Wickins, Alec Dankworth ASC CD81 Trio and Quartet interpretations comparing music by Thelonious Monk and standards. This highly creative and acclaimed CD from recordings done in 2003 features Julian Siegel, Alec Dankworth and Dave Wickins. 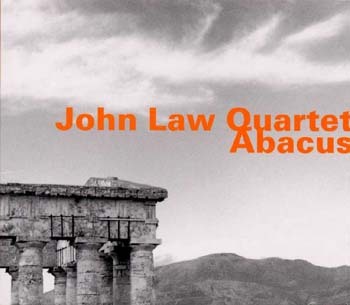 Abacus John Law Quartet: Jon Lloyd, John Law, Tim Wells, Gerry Hemingway HatHut, hatOLOGY 567, 2001 Law's new composition, based on the structure of a baroque suite, uses the energy and style of the modern jazz vocabulary. 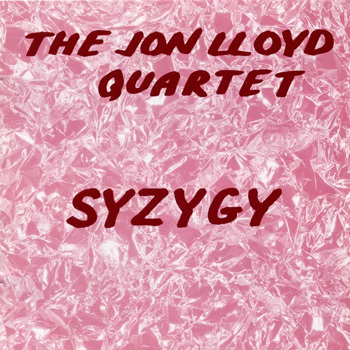 Ranging from the fast-paced keyboard work we expect from Law, to pensive solos with an Arabic feel from the saxes of Jon Lloyd whilst the American rhythm section of erstwhile Braxton drummer Gerry Hemingway and bassist Tim Wells alternate intelligently and with drive between accompaniment and counter melodies/rhythms. This stunning compositional CD, an intriguing synthesis of Law's twin interests in older music and jazz, was awarded a prestigious “Choc” award for 2001 by the critics of Jazzman, France's leading jazz magazine. 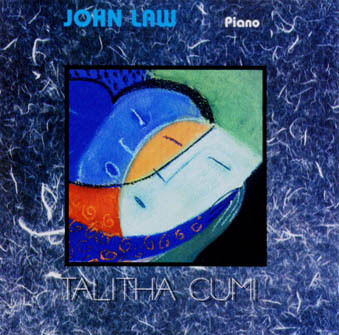 Talitha Cumi John Law FMR CD06 1994 John Law's first solo piano recording, later to become part 1 of the trilogy CHANTS. Subtitled Meditations on the Dies Irae, it uses this well known excerpt from the requiem mass as a basis for some startling pianistic textures. Received great critical acclaim. “Creative music at a level not often heard...a formidable technique” (Cadence, New York). “Talitha Cumi is a pianistic masterpiece...stupendous and precise technique” (Jazzthethik, Germany). The Boat Is Sinking Apartheid Is Sinking John Law, Louis Moholo Impetus Imp CD 19322 1994 Explosive live performances by a duo that performed in concerts and festivals all over Europe and Canada. Taken from the duo's Freedom Tour 93, just when the apartheid system in Moholo's homeland was coming to an end. 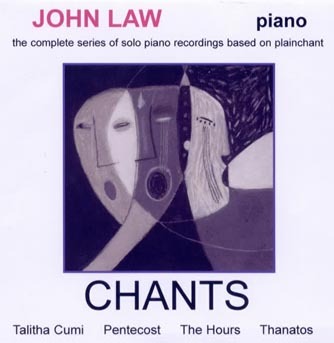 Pentecost John Law FMR CD027 1996 The second in the trilogy CHANTS. A live performance based on the plainchant Veni Creator Spiritus. Covers the entire spectrum from the meditative, through lyricism, to high energy music. Includes an unusual version of Over The Rainbow as an encore! 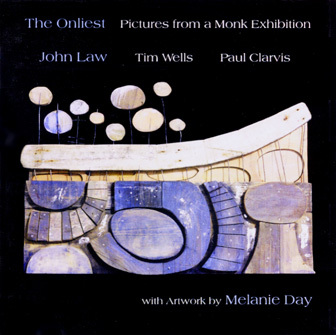 The Onliest: Pictures from a Monk Exhibition John Law Trio FMR CD38-E1096 A joint art and music creation, the booklet features nine img of Melanie Day's three-dimensional mixed media collages based on Monk compositions; the CD presents 19 highly unusual and collective trio interpretations of some of the classic compositions of Thelonious Monk. Loosely using the example of Mussorgsky's Pictures At An Exhibition, the CD also juxtaposes (increasingly abstract) versions of the tune Thelonious as interludes, rather as Promenade constantly reappears in Mussorgsky's work. The recording also includes one solo version by each member of the trio of a Monk piece of their choice (check out Paul Clarvis' version of Blue Monk, in which he occasionally and seemingly 'drunkenly' sings the word “Monk!” though he was stone cold sober at the time!). 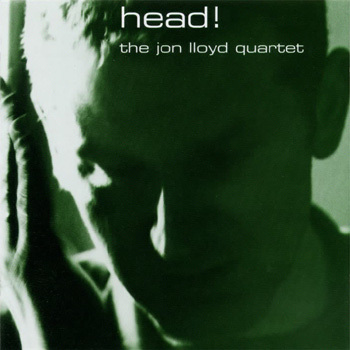 The CD was acclaimed by the Guardian critic John Fordham as his CD of the week when it appeared in 1996. 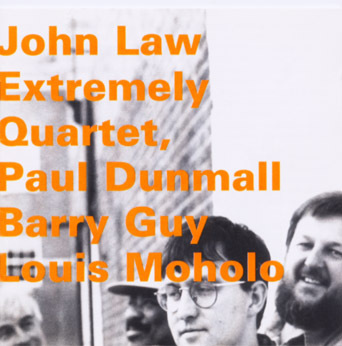 Extremely Quartet John Law, Paul Dunmall, Barry Guy, Louis Moholo HatHut CD6199 1997 Entirely improvised music taken from a highly charged live performance. An extraordinary quartet which works on many different levels: Dunmall and Moholo drawing on jazz with Law and Guy sounding like an unconventional rhythm section; Law and Guy drawing on their shared classical experience; unexpected twists and turns from Moholo and Guy. Form, lyricism, passion... this group is extreme in every sense. 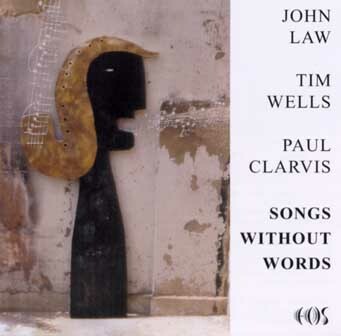 Songs Without Words John Law, Tim Wells, Paul Clarvis EOS CD12 1998 Original material by Law, the last recording by this particular line-up. “Together they conjure a deceptive evenness on the surface of their artfully balanced, yet structurally complex improvisations.” (The Wire).